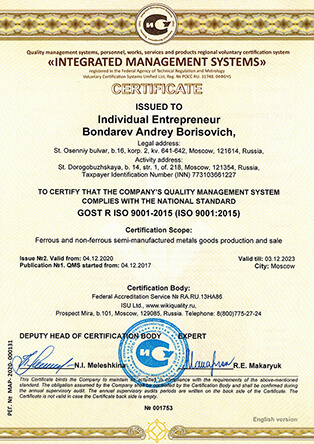 NiTiMet Company Group: NiTiMet Company and IP Bondarev A.B. - specialises on manufacturing of shape memory alloys (nitinol, titanium nickelide), pipes, wire, sheets, rods and cast shapes from heat resisting nickel, titanium, precision alloys, and also development of technologies (know-how) and manufacturing of the equipment for metallurgical manufacture. 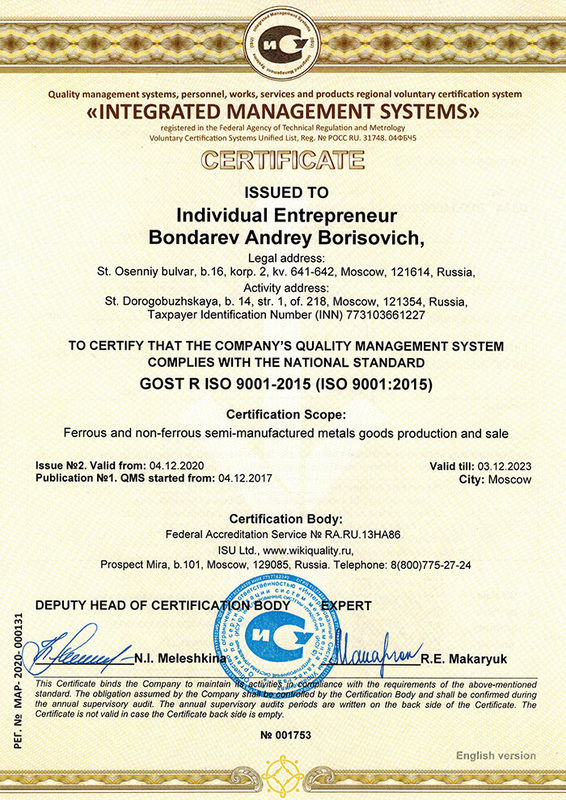 The quality management system of our manufacture is certified on ISO 9001-2008 (GOST 9001-2011), certification area: manufacture and realisation of semi-finished products from black and nonferrous metals. The history of the group NiTiMet Company company started in 1990.Group NiTiMet Company has achieved success for more than twenty years of experience on the Russian and international markets due to well coordinated work of professional and creative team, and the group's products have won a high position on the market of science-intensive metal products. Constantly updated production equipment and the use of innovative technologies provide the output of products corresponding to the highest technical, including unique requirements. We are always open to cooperation and ready for new partnership.